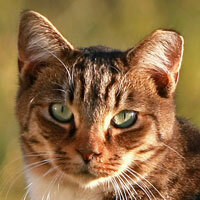 Feral cats, now often called community cats, are cats who live outdoors and do not have an identified individual owner. Some were once pets who were lost or abandoned by their owners. Some were born to homeless mothers and never socialized to people and are called feral. They can be found anywhere, alone or in groups called colonies, trying to survive. At one time people thought that trapping and euthanizing these cats was the humane thing to do, but we have learned that with care and the support of a committed caretaker, these cats can have a decent quality of life. Some former pets and especially young kittens can be removed from the colony and socialized and adopted into loving homes. Most importantly, because the cats are all spayed and neutered, no future kittens will be born. TNR (Trapping, spaying/Neutering/vaccinating and Returning feral cats to their environment) is the most humane and effective method to help and limit the number of feral cats. The Spay Neuter Clinic strongly supports TNR efforts by committed caretakers by offering a special Feral Package for these cats which provides spay/neuter surgery and vaccinations at a reduced cost. We also lend out humane traps. We have spayed, neutered and vaccinated thousands of feral and community cats, preventing the births of tens of thousands of unwanted feral kittens. For more information on what you can do to help, see the information below. You may also contact the Spay Neuter Clinic for information and to schedule appointments for these cats.